Antonio Paris, a scientist at the Museum of Science & Industry in Tampa, may have found what caused the famous “Wow! Signal” that has captivated astronomers for decades and is seen by some as the strongest clue ever that alien life exists. The blast lasted 72 seconds — and despite several searches, the “Wow! Signal” has never been heard again. Since then, scientists have ruled out signals from earth or satellites as the cause. 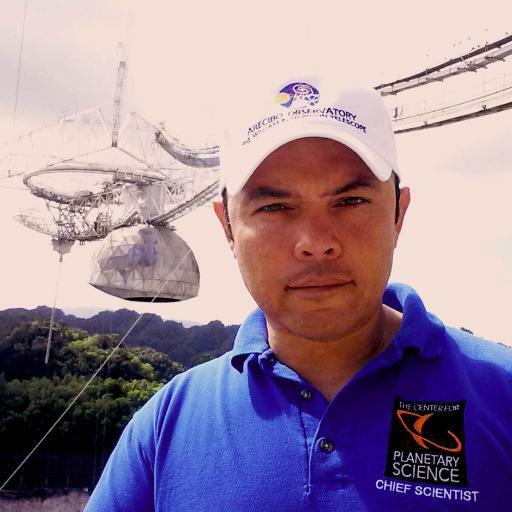 Astronomers with SETI, the Search for Extra-Terrestrial Intelligence, which was made famous in the movie Contact, point to the signal as one of the most crucial signs that intelligent aliens may exist in our galaxy. But Antonio Paris has made a groundbreaking discovery that could explain the mystery and disappoint humans hoping to hear from E.T. — he believes comets may be the culprit. At the time, almost 40 years ago, no known comets were in that area of the sky. However, Paris used a NASA database to track back the paths of comets that have been discovered in the years since 1977, but weren’t known to exist back then. Paris found something. Not just one match — but potentially two. Two comets were in the area of the sky where the “Wow! 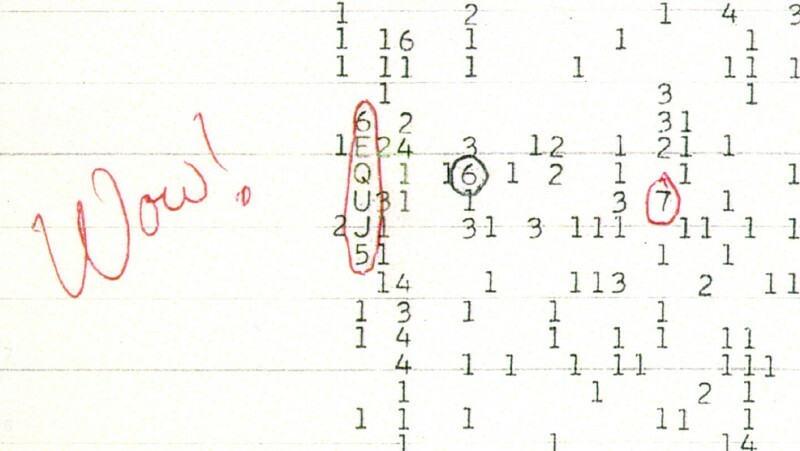 Signal” originated on that day in 1977. “As comets come closer to the sun, the heat melts them and they send out giant clouds of icy water. 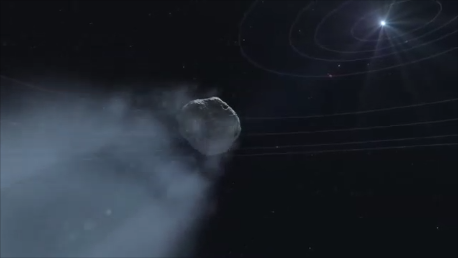 It creates a ‘halo of hydrogen’ around the comet. In just the right situation, there’s a chance that ‘halo of hydrogen’ could have given off the ‘Wow! Signal,’” said Paris, who serves as Director of Space Programs at MOSI and is also a professor at St. Petersburg College. There may be two chances soon to test his theory. One of the comets will be back in the same area of space in January 2017, and the other will be there a year later. Astronomers won’t be able to re-create the exact situation from 1977, when both comets were in the same area of the sky, but watching the two comets may give Paris and his colleagues enough information to conclude that they were probably behind the “Wow! Signal” — or that they can’t be the cause and the mystery continues. Paris lays out his findings in an article written with his colleague Evan Davies in the Journal of the Washington Academy of Sciences, which was just printed and delivered to astronomers around the world. MOSI, the Museum of Science & Industry, is Tampa Bay’s community-supported science center. At MOSI, people of all ages (this means you!) can see and do amazing things every day. MOSI (we pronounce it MOH’-zee) is the largest science center in the Southeast, and a not-for-profit magnet for innovation in STEAM education (Science, Technology, Engineering, Arts, and Math) where we make a difference in people’s lives by making science real for people of all ages and backgrounds. For more information about MOSI, visit mosi.org.